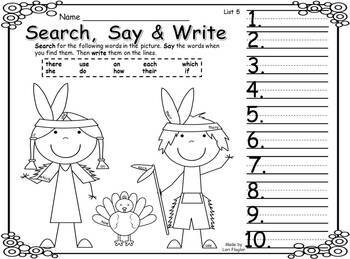 Your kiddos will have so much fun searching for hidden sight words in this set of Thanksgiving pictures! 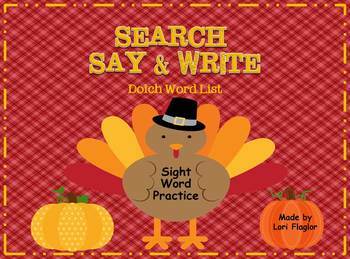 This is a set of 10 Thanksgiving pictures with the first 100 Dolch Words hidden in the pictures. Every page contains a holiday picture and 10 Dolch words hidden on the page. 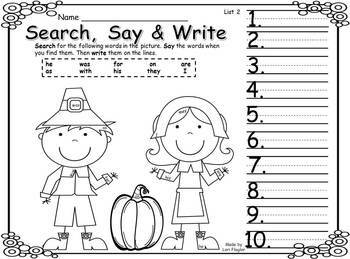 The children should Search for the words, Say the word, then Write the words on the lines. Add to the fun by giving your students a magnifying glass to look for the words. This is perfect for independent practice during guided reading, or literacy centers. I'm sure it will be a favorite activity for your class! Follow me. Just click star above. New products are 50% off for 48 hours.